Setting up a new company can often be a daunting especially if you have never run a business before. Malaysiaco Registration Team are a team of experienced professionals who are on hand to help with the formation process. We provide expert services which can get your new business off to a flying start. Our clients can easily setup a Limited company online using our online company manager. We also provide other services which can complement your new business. We provide professional mail forwarding, meeting room and secretarial services which are all designed to help your new company. 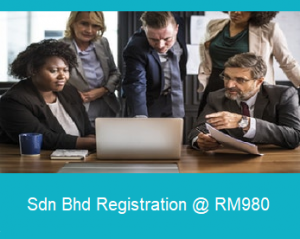 Malaysiaco Registration Team mission statement is simple, we want to help people start a business and then go on to become a successful company. Our services provide a platform to maximise the chances of your company become a real success. Our team have a vast amount of experience with over 100 years combined industry experience in company formation and secretarial services. The people behind Malaysiaco Registration Team have helped shape the company formation industry and have been providing leading and innovative services to a local audience. We understand that any business can provide a service but it’s the people behind the company that make the difference. We are focused to bringing you the best service at a price that’s affordable. If you would like to get in touch with us today you can contact us or feel free to browse our website.